University of the Arts London is a vibrant world centre for innovation in art, design, fashion, communication and performing arts. Located within, and contributing to, one of the world’s most exciting cultural capitals, the University is a unique creative community that draws together six distinctive and distinguished Colleges: Camberwell College of Arts, Central Saint Martins, Chelsea College of Arts, London College of Communication, London College of Fashion and Wimbledon College of Arts. Proudly associated with some of the most original thinkers and practitioners in the arts, the University continues to innovate, challenge convention and nurture exceptional talent. 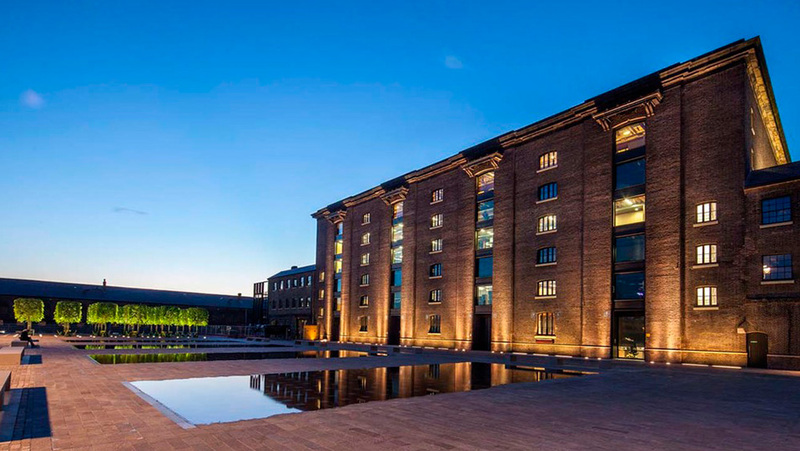 UAL is Europe’s largest specialist arts and design University, bringing together six arts, design, fashion and communication Colleges with more than 3,000 academic, research and technical staff and about 19,000 students from more than 100 countries. UAL is actively engaged in research and innovation as well as artistic, cultural and education projects. In the latest REF (UK Research Excellence Framework) 83% of UAL research was classified as ‘world leading’ or ‘internationally excellent’, and its overall quality profile placed it in the top 25 of UK Universities. UAL has particularly strong links with industry and creative practice and has been a pioneer in the development of practice-based and practice-led research in creative fields. UAL’s contribution to the projects will be delivered by the Innovations Insight Hub. UAL has three roles in Creative Lenses – enabling research by others within the cross-European team; conducting research; and supporting connections between Creative Lenses and UAL researchers, practitioners, students and stakeholders within the arts and cultural enterprise in the UK. As well as helping the researchers from the University of Basilicata access UK-specific knowledge and expertise in business model innovation in the arts and cultural sectors, UAL will also take part in the catalyst development programme to mentor an arts organisation, contribute to designing and disseminating the creative business model survey and take part in other project-wide activities. As part of Creative Lenses’ efforts to engage arts organisations all the way through the project, UAL organised a focus group in early 2016 about business model innovation within arts organisations in London. UAL will also organise a public forum in October 2016 on sustainable creative business models to learn from and shape practice with the arts sector. In the final year of the project, UAL will also organise training sessions in business model innovation for cultural managers. Some of the research is also likely to be used within the new CSM MA Arts and Cultural Enterprise and related UAL degree programmes and short courses. Creative Lenses is a four-year (2015-2019) project that seeks to make arts and cultural organisations more resilient and sustainable by improving their business models and developing their long-term strategic and innovation capacities.